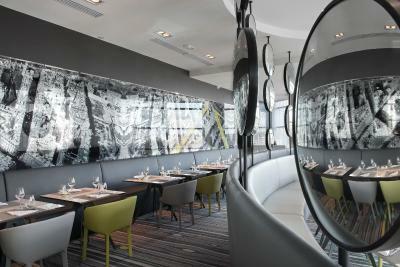 Lock in a great price for Melia Paris La Defense – rated 8.3 by recent guests! 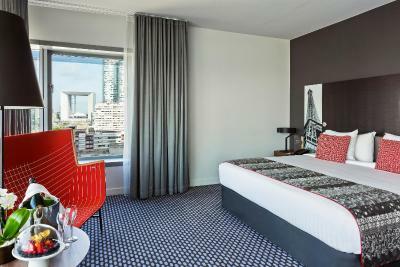 Nice, modern, clean rooms with nice views of Eiffel Tower. 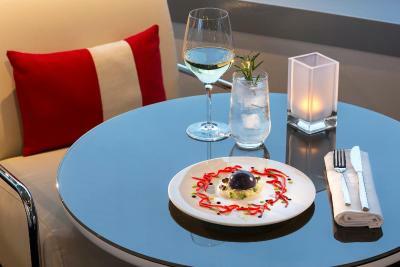 Location is wonderful, close to trains, shopping and restaurants. 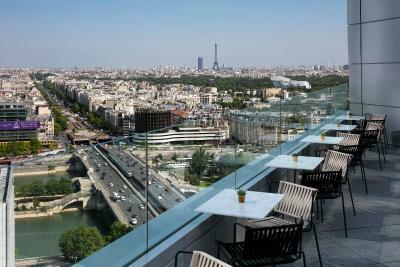 Great place to stay for a Paris trip, though a good 25 minute Metro ride from central Paris. 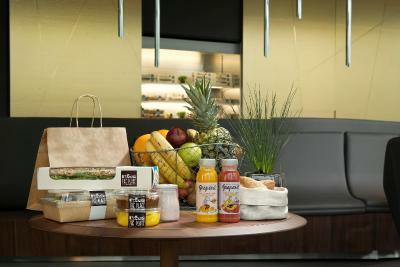 Staff were accommodating and courteous. The room was a good size and the bathroom was nice. 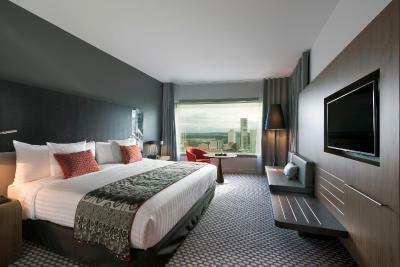 Modern interior with good in-room facilities. Easy to get to via taxi. 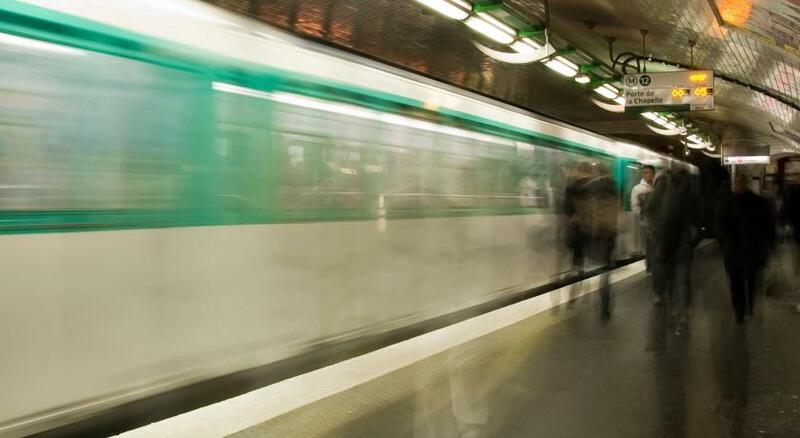 It's quiet at night and the Metro is right next door. Spacious room. The Rooms are clean and big in comparison to hotels in Europe. 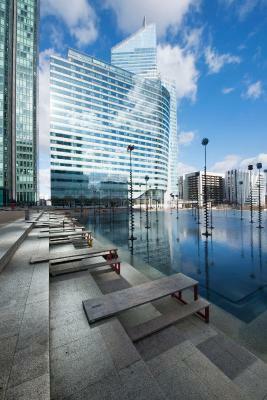 One of our top picks in Courbevoie.Set at the center of La Défense business district, Melia Paris La Defense is a designer hotel offering panoramic city views from the bar lounge on the 19th floor. 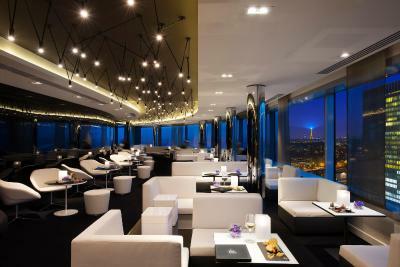 It also has an Eiffel Tower view. 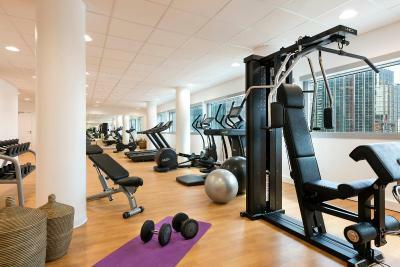 Free access to the fitness center and free fiber-optic WiFi are offered. The U Arena is located 1.2 mi away from the hotel. 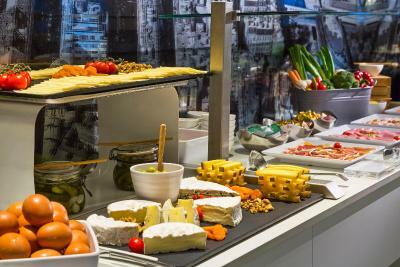 The hotel provides interconnected rooms, suites and family rooms. 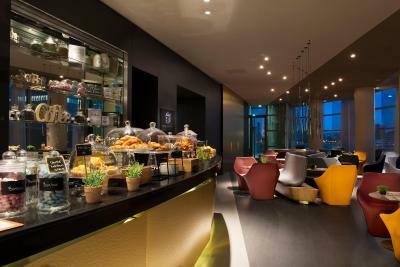 A mini-bar and facilities for making tea and coffee are provided in the contemporary rooms. They also have a flat-screen TV with satellite channels. The private bathrooms include a hairdryer and free toiletries. 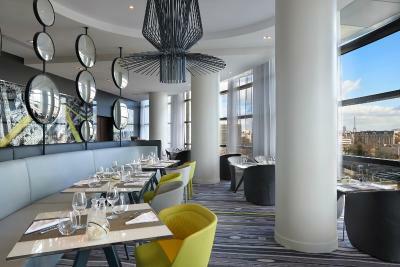 In restaurant Le Miroir you can enjoy Mediterranean dining and homemade desserts while admiring the view over the promenade. 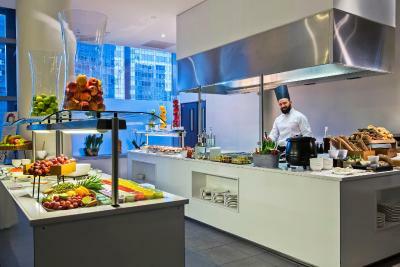 A continental and halal buffet breakfast is prepared daily and room service including pork-free dishes is available. 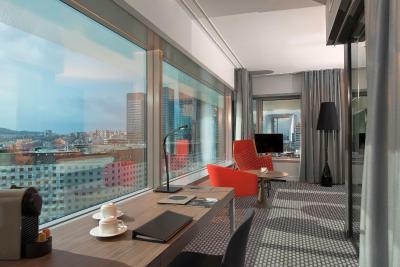 Other facilities at Melia Paris La Defense include a prayer room with prayer mats which is accessible according to availability. 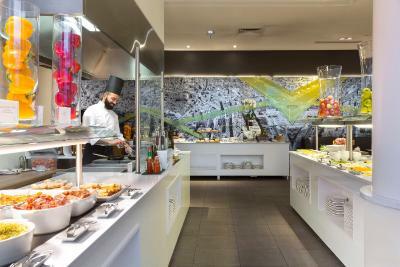 A selection of international newspapers is available at the hotel, including Arabic, English and Spanish newspapers. 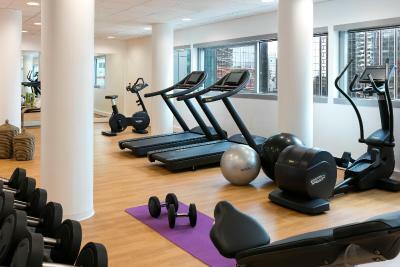 Additional services at the hotel include a 24-hour reception and a private car park. CNIT Congress Center and Les 4 Temps shopping center are both only 800 feet away. The nearest Metro station is across the street. 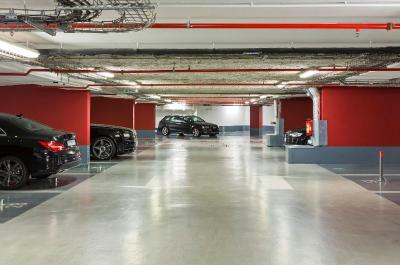 This property is also rated for the best value in Courbevoie! Guests are getting more for their money when compared to other properties in this city. 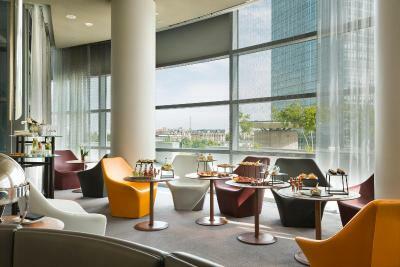 When would you like to stay at Melia Paris La Defense? 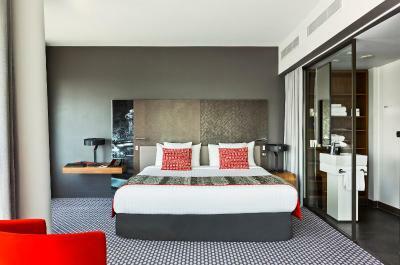 A contemporary room featuring a memory-foam bedding, a 39-inch LCD TV, minibar and facilities for making tea and coffee. A contemporary room offering panoramic city views and featuring a memory-foam bedding, a 39-inch LCD TV, mini-bar and facilities for making tea and coffee. 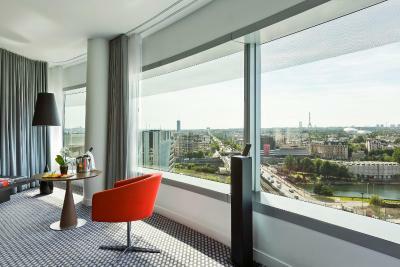 This room offers panoramic city views, a Nespresso coffee machine, a pillow menu and an aroma menu. 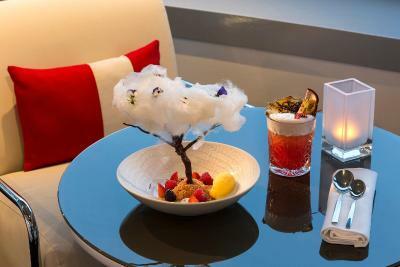 Additional features include a turndown service, shoe shine service and free ironing service for one piece of clothing per stay. 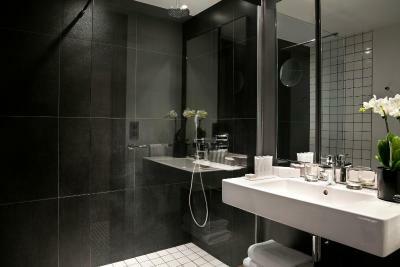 Bathrobes, slippers and premium toiletries are provided in the bathroom. 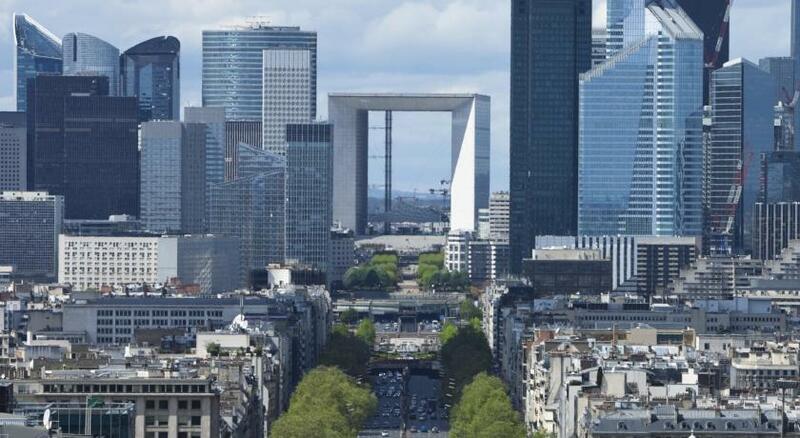 A spacious suite offering panoramic views of the Grande Arche de la Défense. 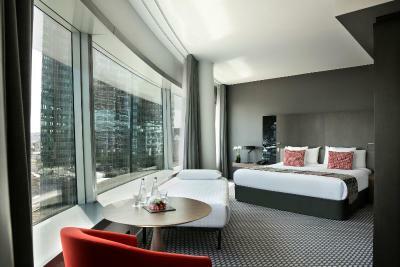 It also has memory-foam bedding, a 39-inch LCD TV and mini-bar. 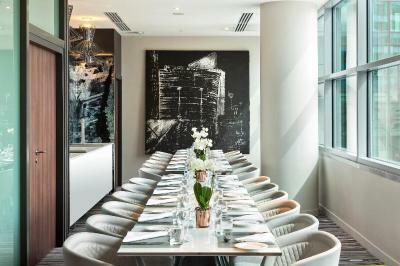 This suite features a Nespresso coffee machine, a pillow menu and an aroma menu. 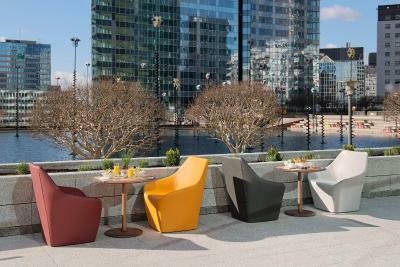 Additional features include a turndown service, shoe shine service and free ironing service for one piece of clothing per stay. 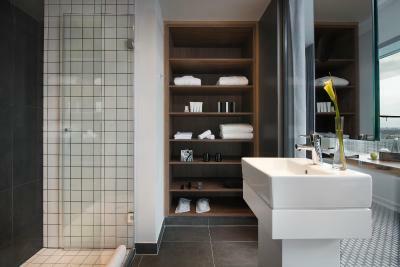 Bathrobes, slippers and premium toiletries are provided in the bathroom. 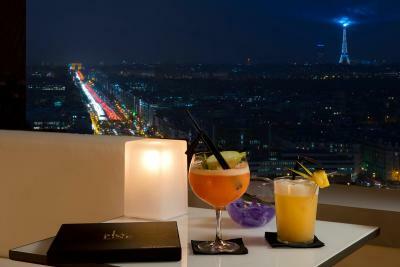 Offering a panoramic view over Paris, these spacious suites provide a coffee machine, a 39-inch LCD TV, mini-bar and memory-foam bedding. 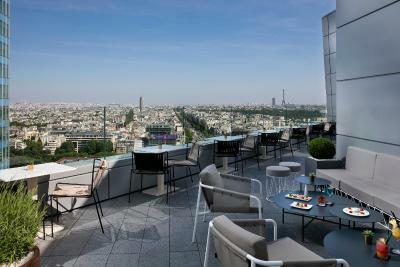 Set on the higher floors, these spacious suites offer a panoramic view over Paris. 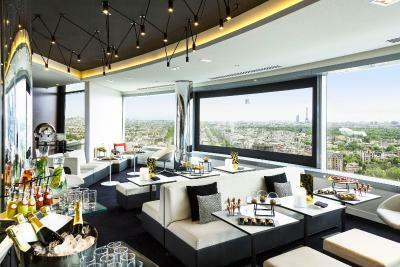 They have a sofa bed, a coffee machine, mini-bar and two 42-inch LCD TVs. This family room consists of 2 connecting rooms with memory-foam bedding, a 39-inch LCD TV, mini-bar and facilities for making tea and coffee. 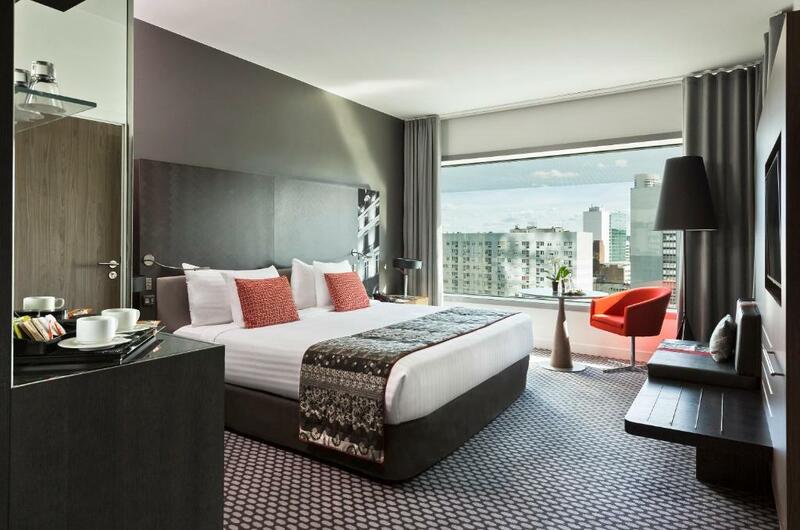 This triple room features a mini-bar, flat-screen TV and soundproofing. This twin/double room has a bathrobe, electric kettle and soundproofing. This triple room features a soundproofing, bathrobe and electric kettle. This double room has a soundproofing, bathrobe and electric kettle. This double room has a mini-bar, electric kettle and soundproofing.